The highly anticipated Necromancer class for Diablo 3 is here. The Necromancer was a fan favorite in Diablo 2, able to raise and command armies of undead creatures to do his fighting. Adding his Bone magic, which ignored most enemies resistances and his ability to sling status effects with his curses made him a fun and powerful character to play. Blizzard announced that they were woking on the Rise of the Necromancer pack for Diablo 3 at BlizzCon 2016. At the time, players were expecting an announcement that the developers were working on Diablo 4. Unfortunately, D4 remained unannounced, but the news that the new class was in the works helped to somewhat mend the broken hopes of disappointed fans. The Necromancer is not a free addition to the game. You’ll have to shell out $15 if you want to play as the Lord of the Dead, but that price tag also includes a non-combat pet, cosmetic wings, Necro-themed banner, sigil, and accent, portrait frame, pennant, and two additional character slots. The PC version also receives two more stash tabs. The price might turn some players off, especially considering Diablo 3 is now a five-year-old title. The DLC does not add any new story elements to the game, except for the character narration between acts that is different for each class. You basically get to play the old story you’ve played a million times by now with a new set of skills. I can see this point, but personally, I can’t wait to hand over my money to start playing again. For me, Diablo 3 is one of those rare titles that never gets old. Even though I’ve put hundreds of hours into the game, I can always go back and still have fun with it. Plus, the Necromancer was hands down my favorite class in D2, which by the way, was just patched last year to ensure compatibility with newer hardware. So $15 is not a big deal for the promise of once again playing a character that I previously enjoyed. The new Necromancer will not be quite the same as the one in Diablo 2. Sure he will raise the dead. Bone magic and curses also are still elements, but the scope of these powers have been expanded. The class has access to many more spells than were available in D2. There are completely new skill sets as well, including Blood magic, an interesting addition that requires that the sacrifice of health instead of “Essence” to cast the spell. Overall, the new Dark Warrior is much more elaborate and nuanced with a broad range of powers that allow for a diversity of ways to play the character. Blizzard details all of the skills in its blog. 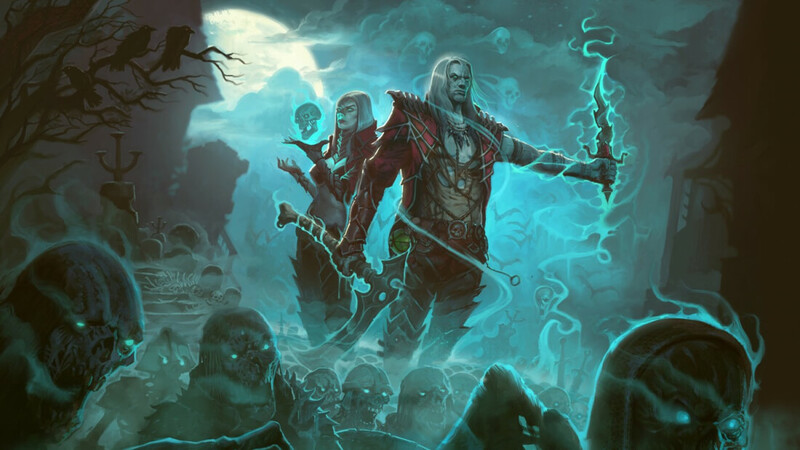 The Necromancer is available now as an in-game purchase on all platforms as long as you have Diablo III: Ultimate Evil Edition or the Reaper of Souls expansion.